Guest Lectures, Educational Visits, Quiz Competitions, Surveys are undertaken by PG students, Seminars, workshops etc.. 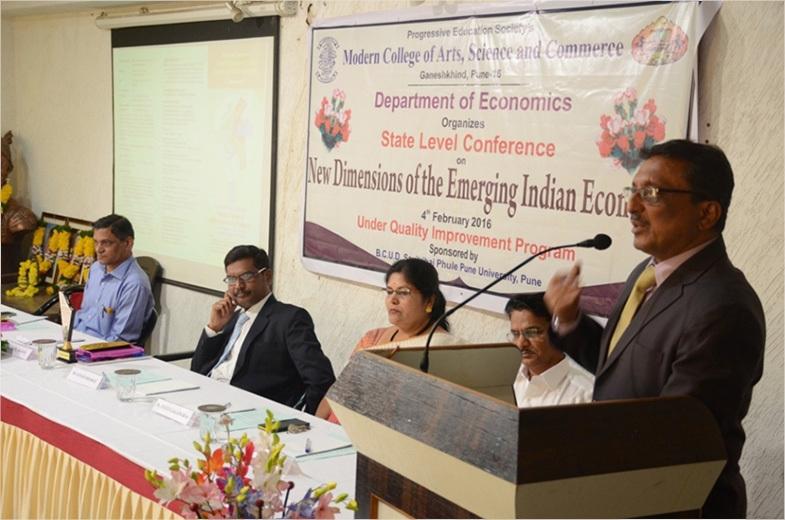 In the academic year 2015-16 a State Level Conference was organized on 4th Feb.2015 on the topic “New Dimensions of the Emerging Indian Economy”. 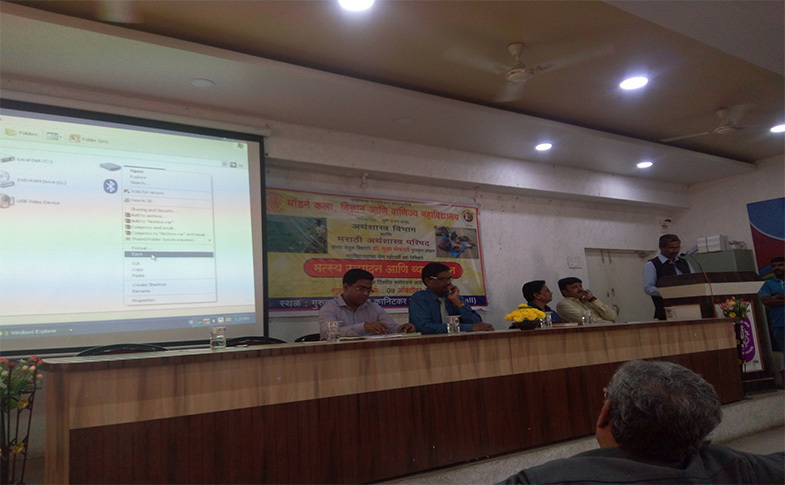 About 62 lecturers and research scholars from various colleges/institutes participated in the Conference. 35 research papers were accepted and each of the paper presenter was given a CD for the Conference Proceedings. 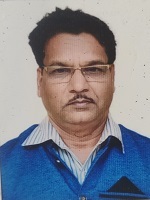 Dr. Sunil Dhapte, Director, YASHADA, Dr. W.N. Salve form Shri Venkatesh College, Ichalkarnaji, Dr. Pradeep Apte form Fergusson College and Dr. Avinash Nikam were the Resource Persons for the conference. Dr. Sunil Dhapte, Director, YASHADA, Pune, speaking in the inaugural session. Seated from left are Prof. Prakash Dixit, Deputy Secretary, P.E. Society and Dr. Sanjay Kharat, Principal, Dr. Jyoti Gagangras, Vice-Principal Arts and Prof Dastagir Pathan, Coordiantor & HOD, Economics. Dr. Sanjay Kharat, Principal speaking during the valedictory function. Seated from left are Resource person Dr. Avinash Nikam. 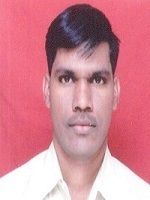 Chief Editor, Arthasamvad, Prof Dastagir Pathan, Dr. W.N. Salve, Shri Venkatesh College, Ichalkarnaji, Chief Guest of the session and Dr. Jyoti Gagangras, Vice-Principal Arts. On 31st August 2016, the department organized a Quiz Competition for the UG students on "Indian Economy". About 99 students participated in the competition. 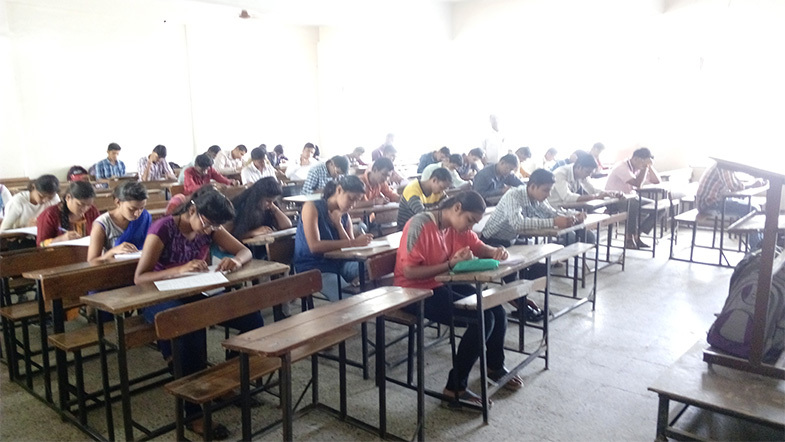 Quiz competition held on 31st August 2016 on “Indian Economy” by Department of Economics. 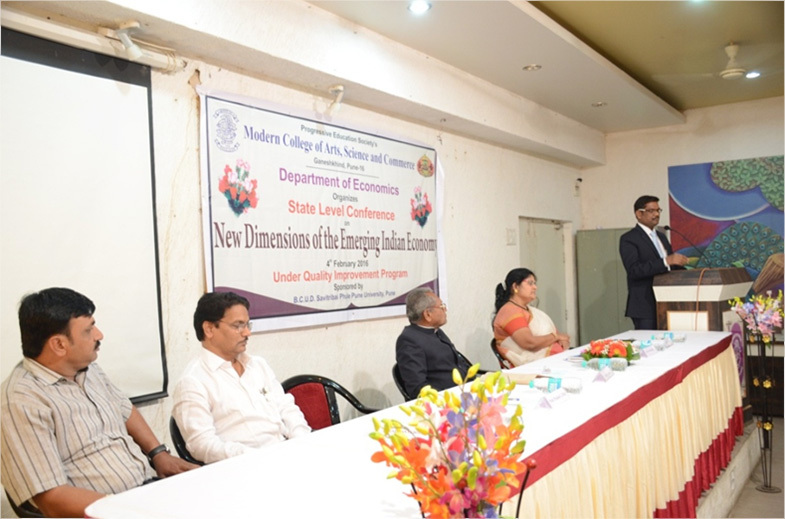 As a part of the Silver Jubilee celebrations of the College, the Department of Economics in association with the Marathi Arthashastra Parishad organized a ‘Dr. 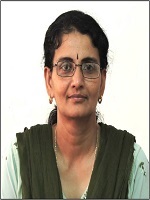 Sudha Mokashi’ awarded -one day workshop on "Fishery Production and Management" on Friday, 7th October 2016. There were about 110 participants including staff and students. The guest included Dr. Shivaji Bhosale, Chairman, Marathi Arthashastra Parishad, Prof. Dr. Avinash Nikam, Chief Editor, Arthasamvad, Prof. Suresh Todkar, Joint Secretary, PES, Shivajinagar, Pune and Dr. D.V. Jahagirdar, Former Chairman Marathi Arthashastra Parishad. 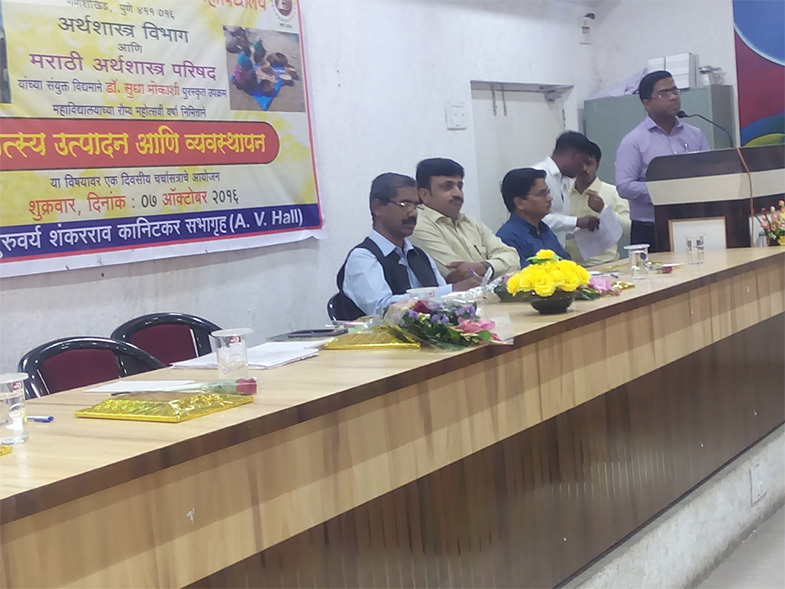 Mr. Vijay Shikre, Joint-Director, Matsya Utpadan Kendra, Hadapsar, Pune, and Dr. Sanjay Kharat, Principal, Modern College, Ganeshkhind were the resource persons. Speaking on the occasion is Dr. Shivaji Bhosale, Chairman, Marathi Arthashastra Parishad, seated from left to right are Mr. Vijay Shikre, Joint-Director, Matsya Utpadan Kendra, Hadapsar, Pune, Dr. Sanjay Kharat, Principal, Prof. Dastagir Pathan, HOD, Economcis and Prof. Dr. Avinash Nikam, Chief Editor, Arthasamvad. Speaker is Mr. Vijay Shikre, Joint-Director, Matsya Utpadan Kendra, Hadapsar and seated from left to right are Dr. Shivaji Bhosale, Chairman, Marathi Arthashastra Parishad, Prof. Dr. Avinash Nikam, Chief Editor, Arthasamvad and Prof. Dastagir Pathan, HOD Economics. The Department is well established with a departmental library. The department has its own PC with internet connection and a Printer. A classroom with LCD projector is also available. 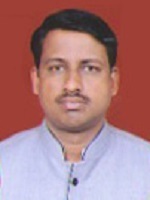 Mr. Raju Khude Peon 15 Yrs.